How technology supports for the clothing business network ? Clothing business is an evergreen profitable business in the business world. Technology can assist everything from the start to the growth of any business in online. In future days, business people will be looking forward to open an online clothing store with the help of wide range of technologies. Business people should run their online clothing store smoothly and compete with their competitors. Most of the business people will have a question that will be triggering your mind. How does technology works for clothing business ? Technology is the collection of techniques and processes. It is essential in upgrading clothing business in online. With the support of technologies, business people can offer a real time experience shopping for their customer in online. Now-a-days, people go for online for their demands. So, business owner need to satisfy their customers in online itself otherwise business will be in lack of business success. Technology helps us to fulfill business needs in online without stepping out from living area. An online clothing store with latest features can be easily built with the help of technologies in named as Software. Do you know about a software with some special features to start clothing store in online? That software special features should fulfill your customer's requirement with perfect shopping experience. Software should allow your customers to design their apparels with their own creativity. Technology act as a backbone for these all of special features. 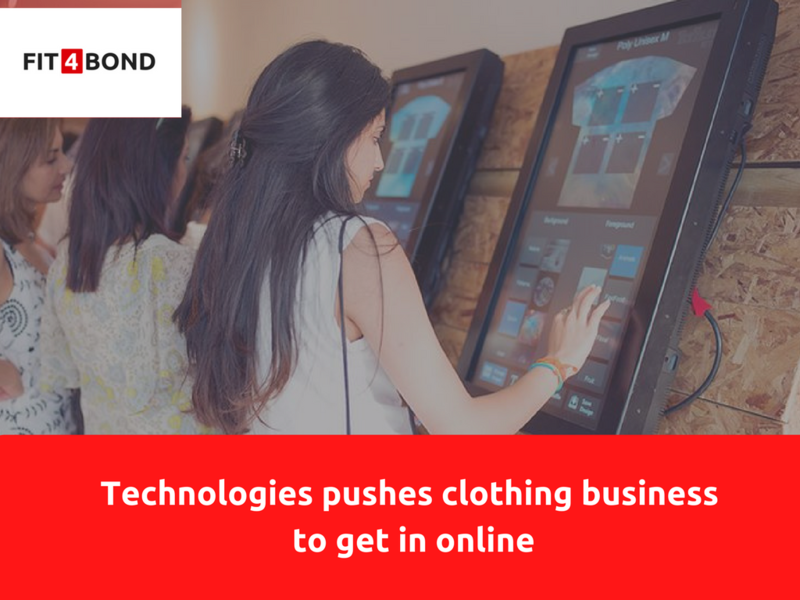 Technology will surely make your online clothing business more comfort and will drag your online clothing store business to the next level. Start your online clothing business store with various uptrending technologies. Providing a platform where customers can design their apparels like customizing the collar, cuffs etc. After completing the customization of clothing it should be displayed in a 3D visualization. Showcase of apparels plays a major role in dragging the end user to the conversion ratio. Integrate various payment gateways for the comfort of the end user. Fit4bond builds the best online clothing store in a profitable way. Fit4bond provides two major business solutions in a single software – tailoring solutions + clothing store with E-commerce features. Know its high-end features in detail by booking a free demo! cloth customization software,online tailoring software,online tailoring platform,custom clothing store script,custom tailoring store script,startup,online clothing store.